Many of us are deeply affected by the state of our world and wondering whether they can do enough. Maybe you don’t feel capable to face the big challenges that the state of our world presents. and physically in the long run. 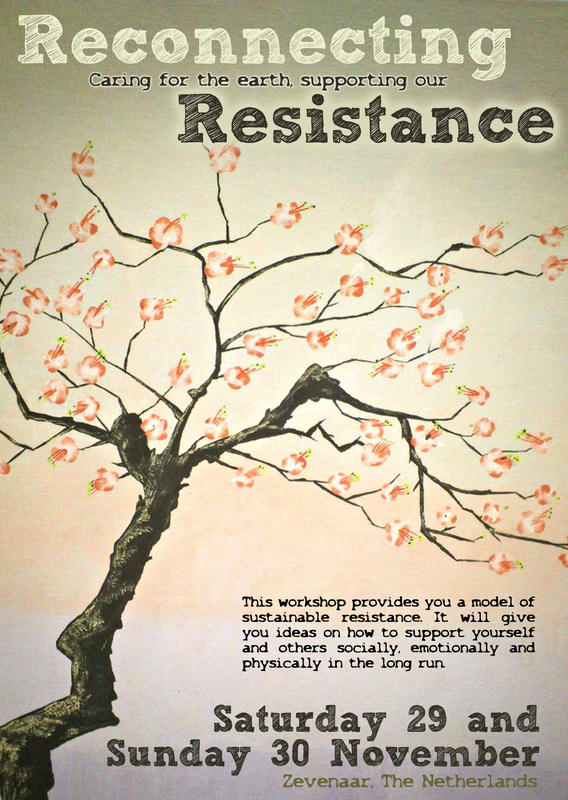 The workshop is rooted in Joanna Macy’s deep-ecology work- How to face the mess we’re in without going crazy. Mara and Irene will facilitate this workshop.Both participated in trainings with Joanna Macy and have extensive experience in facilitating the work that reconnects. Irene: has a background in environmental and human rights activism and has been running a health practice (shiatsu, EFT, diet) in Brussels for the past eight years. She has lived with diverse eco villages across the US and Canada, part of the global ecovillage network. The workshop will take place Close to a biological estate, we will have the possibility to get a tour from the gardeners, to see where our food comes from. It starts Saturday 10.00 till Sunday 17.00 including a sleep-over. It’s also possible to only join the Sunday from 10.00-17.00 ! !